Our aim is to connect women in ip from different areas in order to promote and strengthen the exchange of experience, to promote cooperation in the professional context and to break new ground together. 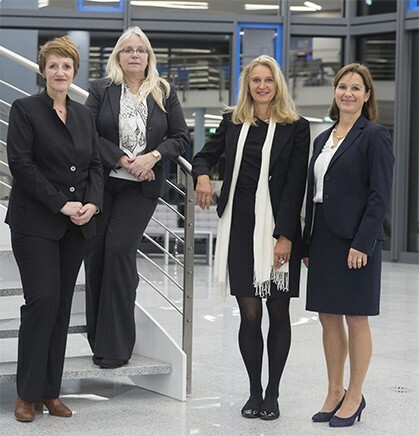 We have created an internationally operating non-profit platform linking women in ip, such as patent attorneys and lawyers, judges, patent examiners, professors, patent engineers, candidates and members of the opposition and appeal boards of the European Patent Office. We regularly organize events in both German and English language that take place at a national and international level. These events are aimed at ensuring a continuous professional and social exchange. 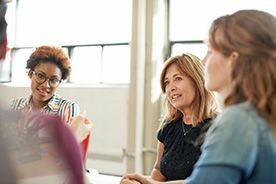 We offer specialist seminars and trainings for women in ip, which are specially tailored to our professional group and designed exclusively to meet their vocational needs. Further information can be found on our Events page. All women registered with women in ip e.V. receive advance notifications of our events or other important announcements via e-mail. If you are interested, you can also contact us directly. We are more than happy to receive your wishes and suggestions on interesting topics or hear about other feedback you may have. Women still constitute a minority in technically-oriented professions. This is particularly true for professions that require a technical degree and several years of additional training, such as the field of intellectual property. Accordingly, the industry-specific conservative structures and the course of day-to-day work in industrial property protection are predominantly adapted to male needs. The potential for conflict begins with different approaches in communication, through the type of personnel management to the discussion of salary issues. These and similar experiences have been made by women working in the field of intellectual property, whether in the law firm, in industry, at court or in office. Women undoubtedly have particular strengths and skills: they are often creative, keep an open mind to new projects and also consider out-of-the-ordinary solutions to problems. Many women show a high level of responsibility towards their employees and possess a gift for motivation. In addition, they have a distinct talent for organization and coordination, not least because women often manage their families and households in addition to their profession. Our experience shows that the cooperation among women is usually very unproblematic and flexible. All these potentials of women and their working styles can be applied professionally profitable, if they complement existing structures positively and meaningfully. However, women have to start perceiving their own strengths by themselves and live them out consciously in their professional environment in order to make targeted use of them. Ultimately, it is not only us women who benefit from a continuous exchange in this sector on a professional and social level, but also the entire environment. Flexible, open and modern structures and communication channels are perceived and welcomed as positive changes from all sides. Conscious cooperation with women also offers new approaches and opportunities for male colleagues.